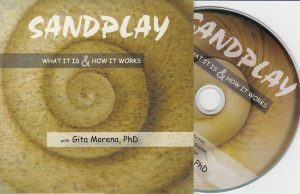 In this DVD, Dr. Morena addresses the initial questions of parents, teachers and educators about sand play therapy and shows how it is used therapeutically with adults. She describes the essence of sandplay therapy and demonstrates holding a safe and protected space for the inner world to express itself with images and sand. Sandplay scenes and comments from other adults show how this powerful process releases and heals the disturbing effects of past trauma, emotional pain and internal confusion.